This handcrafted, Spanish colonial style console features intricate, hand forged iron details created in our factory by our skilled craftsmen. 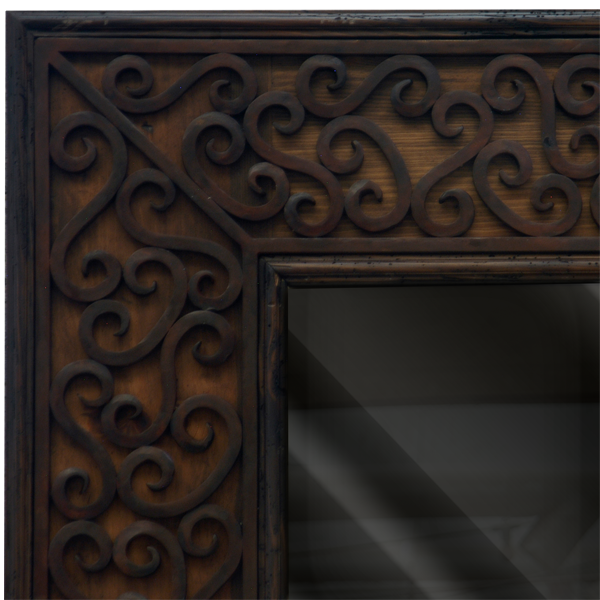 This beautiful iron work is displayed on the front of the console and also on the mirror that accompanies the console. Each side of the front of the console has a curved apron, and both sides of the apron are embellished with exquisite, curved, hand forged iron work. The center of the front of the console is finished in a contrasting, lighter stain. The console has an open, wide top with a classic, straight top rim. Each lateral side of the console has a rectangular cut panel. The console rest on lovely, hand turned legs that end in hand turned, ball style feet. 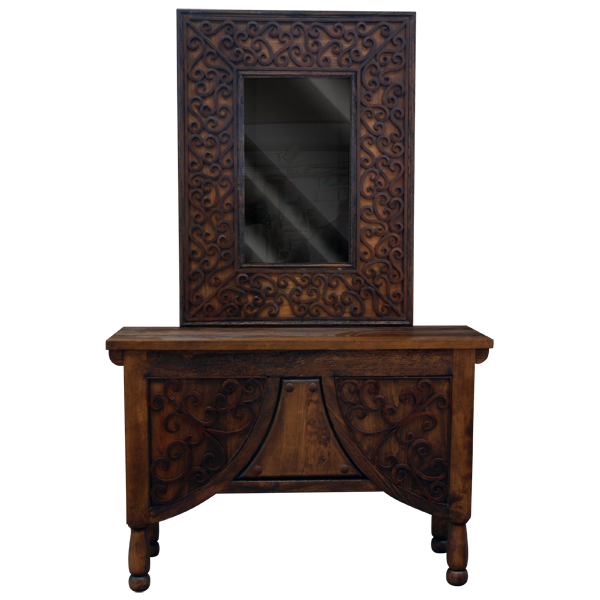 Accompanying the console is a large, rectangular mirror, and the frame of the mirror is adorned with matching, magnificent, curved, hand forged iron details. The console can be purchased with or without the mirror. 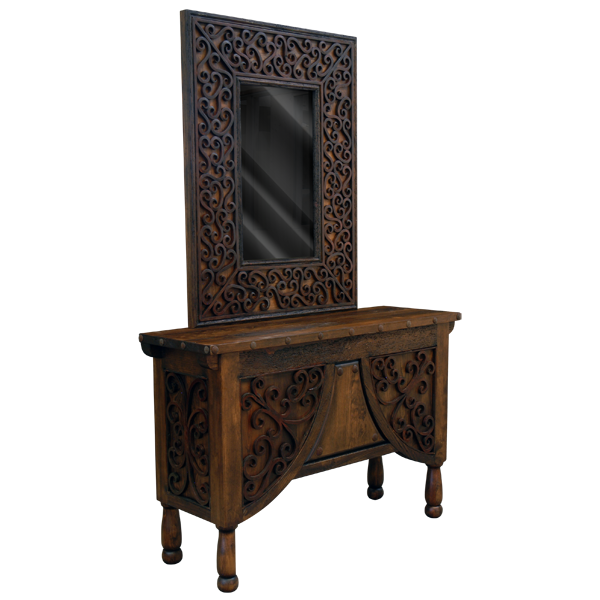 The console and mirror are made with the best, sustainable, solid wood available, and they are 100% customizable.